A Chinese-born Malaysian rapper, Wee Meng Chee, popularly known as Namewee, has been arrested and detained for allegedly insulting Islam in his latest music video, an act seen as capable of inciting religious crisis in the Asian country. 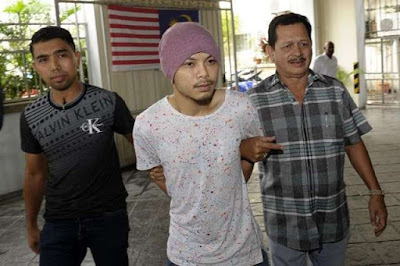 ccording to Yahoo News, the 33-year-old Namewee was picked up by security officials at the Kuala Lumpur's International Airport, as he returned from a trip outside the country, on Sunday, August 21, while the police obtained a court order to hold him for four days to investigate him on suspicion of defiling a place of worship with intention to insult religion. Enraged Malay Islamic activists lodged police complaints against Wee, saying the video was rude and disrespectful to Islam but the singer has defended himself by stating that what he was saying in the video was meant to promote religious harmony. Namewee is known as a controversial singer who has had brushes with the law in the past. He had earlier released a video where he mocked the Malaysian national anthem and was criticized for using racial language. He had also produced a movie that was banned by the government in 2014 for portraying national agencies in a negative way.